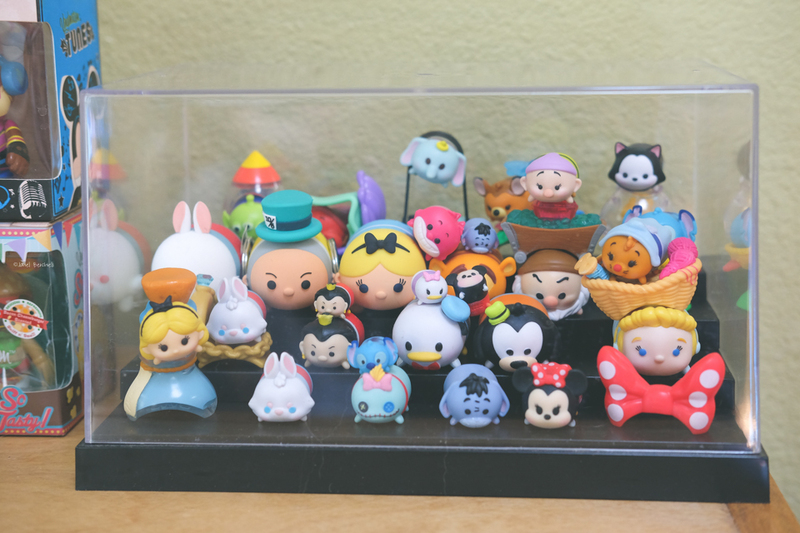 Now that your Tsum Tsum vinyl collection is growing what do you do with all these? 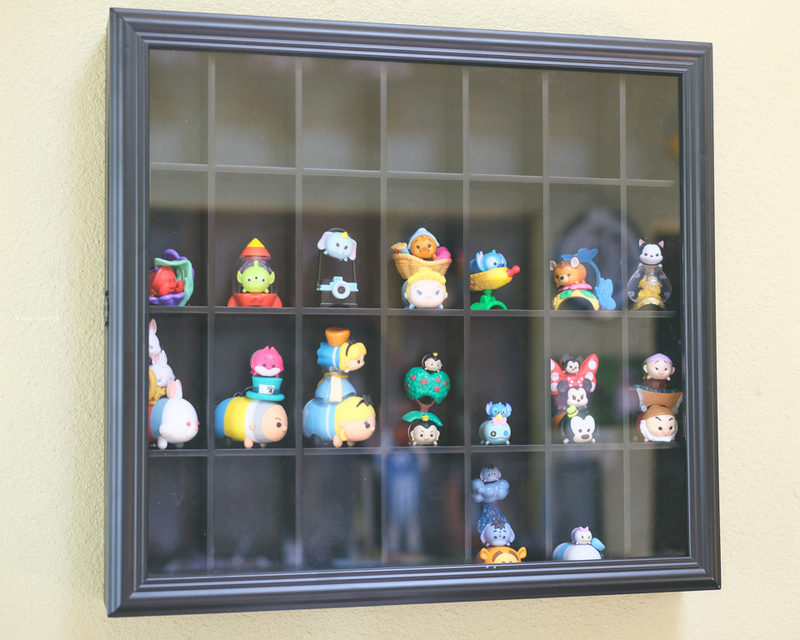 How do you store them in a creative way that they won't collect dust? First I went to Pinterest to gather ideas. When my search came up empty I asked other Disney fans for suggestions. I am going to share with you the two ideas I have tried. This is a box that I found on Amazon that has several levels & a dust proof lid. This can be used also for bigger items like the Pop Funko too. 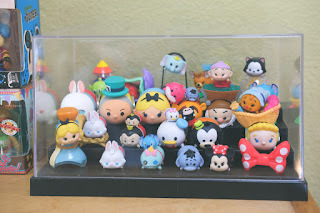 The problem I had is the larger Tsum vinyls had to be in a middle row or I could not put the lid on. Anytime someone bumped my bookshelf my neat stacks fell over. 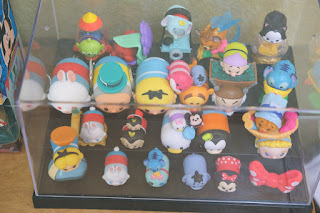 It is a good solution for the blind bags and small vinyls. I can't take full credit for my next idea which I saw in a Tsum Tsum group on facebook. This is actually a display case for shot glasses but it happens to be the perfect size for Tsum vinyl stacks. I purchased this at Micheals craft store (use a coupon to get it even cheaper). The front glass is actually a door with a hinge on the side, easy to open/close without knocking your stacks over. 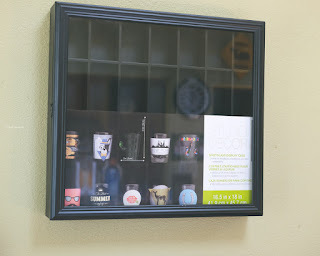 I decided to mount mine on the wall but you can actually put it on a bookshelf or tabletop too. Hope you found these two ideas helpful. How do you display your favorite treasures & trinkets? 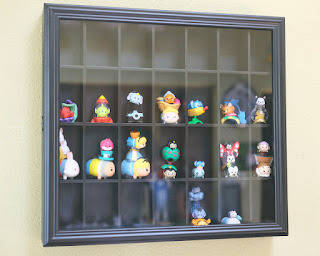 Also check out how I display my plush Tsum Tsum too.